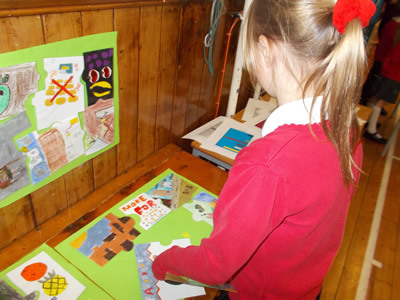 Children are encouraged to examine the physical and human features of their local surroundings and to develop an awareness of our country and the wider world. Through first hand experiences, they will begin to acquire geographical skills such as following directions and drawing simple plans. Children will have opportunities to read maps and identify capital cities. We have recently worked with CDEC on a project called The World From Your Doorstep. This encouraged children to explore different cultures and the impact that we all have upon the world. We worked with the gardener at Ford Park to examine sustainability; this involved planting seeds, growing vegetables and then selling them or using them ourselves for cooking. Key Stage One explored Thea the Fairtrade Bear through a series of activities. The whole school worked with a cocoa producer from Belize; he explained how buying fairtrade products had a direct impact upon his village. 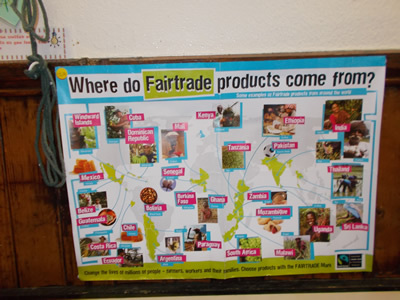 We are becoming more fairtrade aware and hold events during Fairtrade Fortnight. 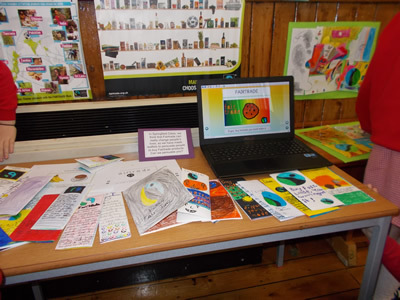 School Links We have established links with a primary school in Liverpool and are exploring international links with John Wesley School in Eshowe, Kwa Zulu-Natal, South Africa, through the Carlisle Diocese.